After you purchasing our mixer pump, there are some construction details that you should notice. 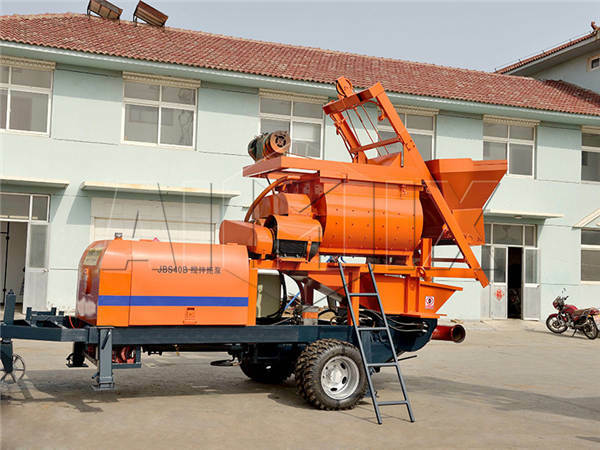 Both operator and machine maintenance personnel should read the instructions carefully and master the structure and working principle of the mobile concrete mixer with pump. 2. 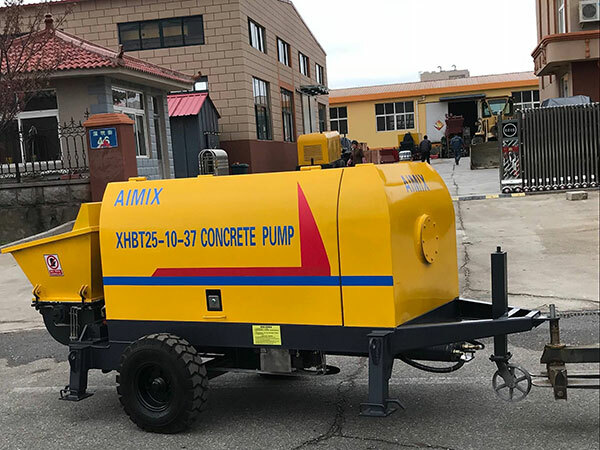 In the cold season construction, you must take some actions to prevent the concrete mobile pump from freezing. If you use it in the hot season, you should avoid excessive oil temperature. When the temperature reaches 70℃， the operation should be stopped or other measures should be taken to lower the temperature. 3. It is necessary to monitor various instruments and indicators at any time. Therefore, you can adjust abnormal situation in a timely manner. 4. The pumping process should be a continuous operation. Provided that you must stop for a while, it will be better to run it every five to ten minutes. If the stopping time is too long, the machine should pump one or two strokes reversely at first, and then pump forward. The hopper should always maintain a certain amount of concrete in the course of pumping, and it shall not be empty in work. 5. 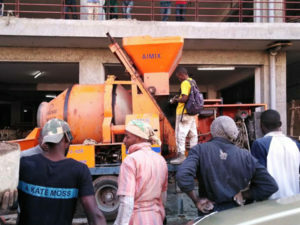 The concrete in the hopper must be higher than the mixing shaft, which avoids concrete spatter caused by inhalation of air. 6. 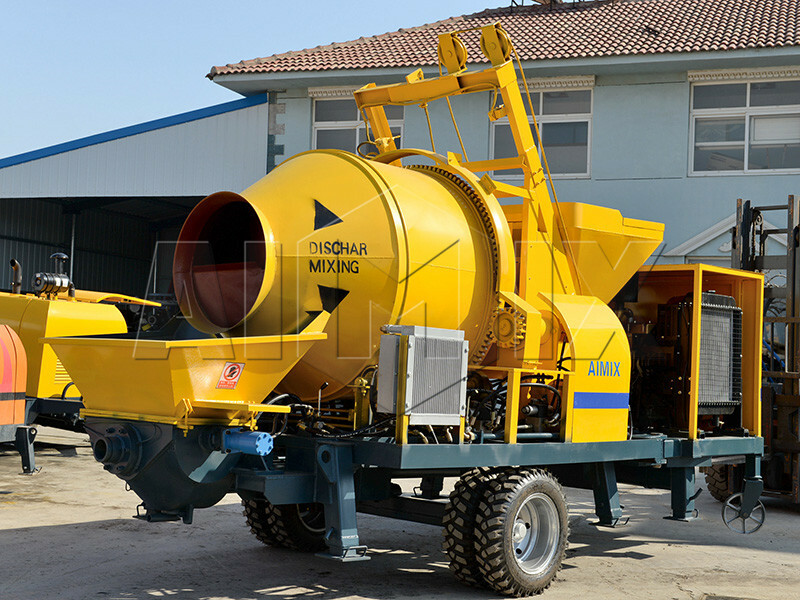 Mobile concrete mixer with pump may be towed by motor vehicles but shall not carry any cargo at speeds not exceeding 8km per hour. 7. After pumping concrete, clean the hopper, S valve, concrete cylinder and pipeline in time. After the pump machine is cleaned, the accumulator should be released, and the system of power supply should be cut off. The switches should be in the stop or disconnect position.